Frances Murphy leads the Morgan Lewis antitrust group in the UK. Frances is a noted leading practitioner. Chambers UK describes her as ‘a very responsive and practical lawyer’ and The Legal 500 as ‘an elite performer with formidable powers of analysis.’ Frances is singled out by clients in relation to complex, high value matters such as competition disputes, global cartel investigations, pricing arrangements, parallel trade issues, abuse of dominance matters and civil proceedings for damages for breach of antitrust laws. Frances represents clients in EU and UK competition matters before the UK and the EU, and other competition authorities, tribunals and courts including the High Court, the General Court and the Court of Justice of the European Union. Frances works across various industries, including aviation and maritime shipping, auto manufacturing, construction, financial services, oil, steel, retail, media, pharmaceuticals, digital media, information technology, and satellite communications. 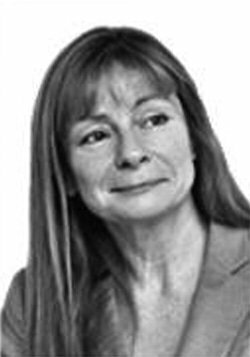 Frances has acted in a number of the leading cases that have shaped ‘follow-on’ litigation in England. In 2003 she began to act for BASF in the Vitamins litigation, a case that gave rise to what remains the leading judgment on jurisdiction in cases involving defendants from multiple jurisdictions (Provimi and Trouw) and the leading judgment on the remedies available to claimants in follow-on claims (Devenish). She is currently acting for Sainsbury’s UK Ltd, McDonald’s and the Railway Delivery Group comprising 21 railway companies in separate damages actions against Visa and MasterCard in the nature described above.